Distilled alcoholic beverages are a unique case in China. Although many people drink, few really understand and appreciate the complex subject. Wine and spirits appreciation in China follows special industry standards, which require the connoisseur to analyze and evaluate color, aroma, taste and style characteristics of spirit samples by use of the eyes, nose, mouth and other sensory organs. Observe whether the liquid is clear and transparent. Are there any suspended solids or visible particular matter? Method: Raise the glass to observe the transparency of the liquid, and then turn the glass counterclockwise to watch the tears on the glass. High-quality distilled spirit has obvious and uniform, almost silk-like tear traces, and is clear and brilliant without impurities. Take a proper sniff to make out possible fragrances. What odors can you isolate and identify? Method: Tilt the glass by 30 degrees and get it close to the tip of the nose. Naturally breathe, and slowly rotate the glass in front of the nose. Feel the tangy fragrance. The smell of high quality distilled spirit can bring physical and mental pleasure to people, and the fragrance carries natural scents like that of food, fruit and flowers. The liquid enters the mouth slowly and at a steady flow. Contain the fluid in the mouth, and spread it around your oral cavity with your tongue. Feel the aromas, and slowly swallow. 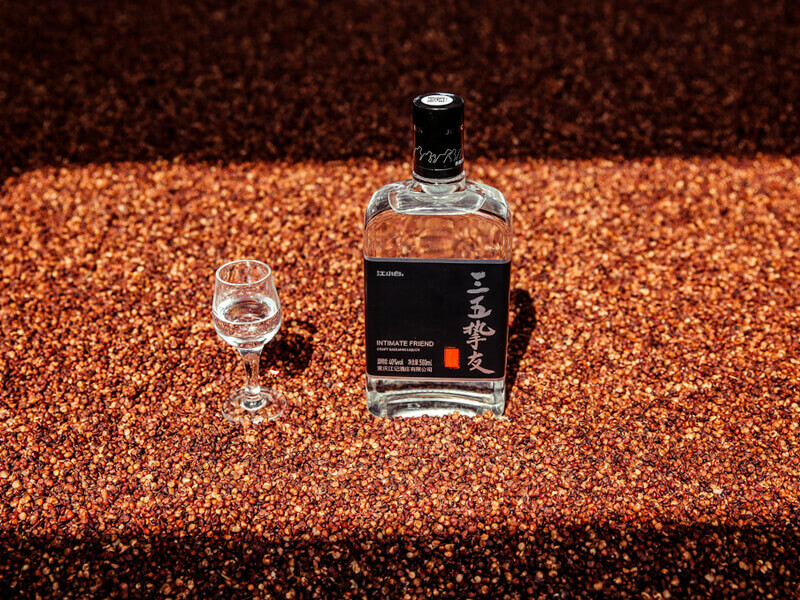 Distilled spirit has different tastes such as mellow-and-full, thick, soft, soft-sweet, thin, spicy, pure and non-pure, and may have aftertaste soft-sweet or bitter-spicy flavors. Mellow-and-thick, mellow-and-full, soft-sweet, delicate flavors are the properties of top-shelf liquors. We stress the sweetness when the liquid enters the mouth, and softness when the liquid is contained, and silkiness when the liquid is swallowed. 1. Take in no more than 0.2-2.0ml per sip. 2. Spread the liquid on your tongue’s surface to hit all the taste buds. Carefully identify the aromas. 3. Immediately after swallowing, take a breath with your mouth open and exhale with your mouth closed to distinguish aftertastes. Spirit appreciation is not the same as spirit drinking. Although, as a subject of science, spirit appreciation is not limited to masters alone. Master it, and you will really enjoy your liquors.